The PFLEX wetsuit is the perfect harmony between flexibility (Polyester Hollow fibre) and buoyancy (Nano Silicone Coating) resulting in the fastest wetsuit available. 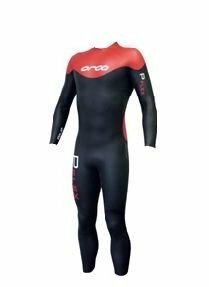 In the construction of the WORLDS' FASTEST wetsuit, panel placement is crucial. Differing panels need to focus on the different functions and the engineering of the PFLEX is focused precisely on this balance. Company: Franz Ziener® GmbH & Co.